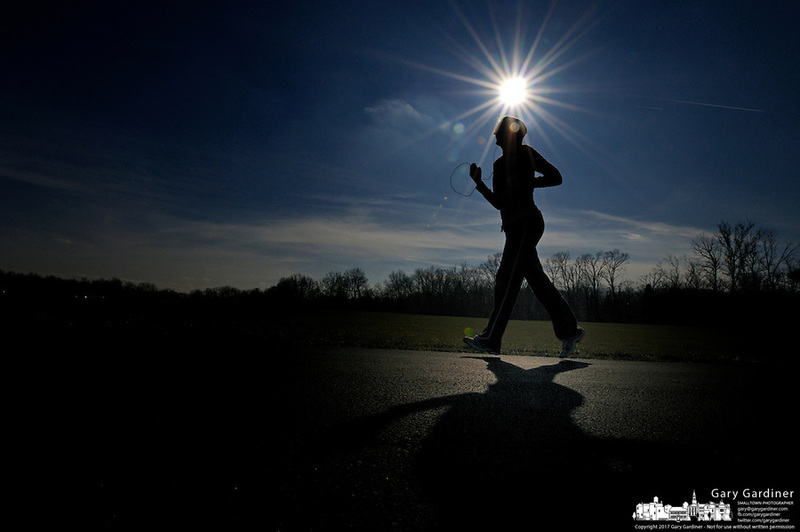 Jogger along bike path with blue sky and sunburst. Photo Copyright Gary Gardiner. Not for reproduction without written permission.